I am a scrapbooking junkie. I admit it. One of my favorite things to do is to put together albums of photographs of the years I have lived. This is an activity that when done, it feels like time stops. I don’t look at the clock, and before I know it, the entire day has passed in contentment, creative activity and complete peace. Every page starts off blank before I add photographs, embellishments and journaling. I have to say that this does not intimidate me because it is my forte. It is my mental release, my way of making sense of the world, my experiences, and the lessons I have learned in life thus far; it is my bliss. Life, however, was not always so “blissful.” Over a decade ago, prior to discovering my love of scrapbooking, I had been in a difficult, diseased, and depressed stage of life. Maybe you have experienced something similar, but back then, I awakened uninterested, sullen, troubled, heavy-burdened, and mildly, if not chronically depressed. I struggled with a few minor illnesses and a few benign tumors with the threat of surgery. Life had become burdensome. I had lost my zest. I survived by doing what was expected of me. Like a robot, I did my duties and lived a life devoid of passion, of interest. I had forgotten who I was. 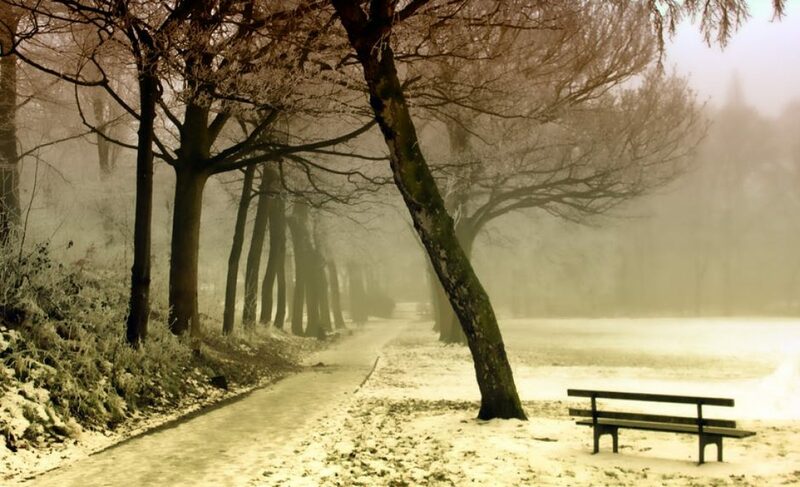 I had forgotten what made me smile, what made my heart come alive, and what I loved to do. I had forgotten the creativity within me, and back then I did not know that it was that creativity-still deep inside somewhere-that would resurrect my spirit to a spirit of excitement and abundant life. My life changed sixteen years ago on a beautiful day in April in the Rockies as walked on the path near home with a new friend. As we strolled and talked, she explained to me about how she recorded her memories with photographs she had taken and how much fun it was! She even added stickers and used colored, acid-free paper and special pens in her albums to allow them to last for as long as possible. As she spoke, I felt an undeniable spark spring up in my heart. I knew then that I needed to create scrapbooks myself. And, so it began. That day changed my life. However, I would not know how much until about a year later. Eager to begin, I immediately bought an album. The first one I worked on was a re-creation of a scrapbook I had made of my high school years that was literally falling apart (the paper was already disintegrating). This was a big project, but I was determined to complete it. I dismantled the old scrapbook and removed all the old photographs I had collected from high school. I then scanned them and had them reprinted. I bought a royal blue album, all the acid-free paper I would need, some stickers, royal blue and gold paper (my school colors) to place behind the photographs and special pens that do not bleed and would last a very long time. I was excited! I envisioned how I wanted the album to look and planned how I was going to design it before I started putting it together. This creative endeavor got me out of bed in the morning. It gave me the will to live. As I started putting together this album, I began to realize how involved and active I was when I was in high school. The memories of all that I was involved in came flooding back, and I started feeling better. I remembered all the different kinds of friends I had: the jocks, the geeks, the boy-crazy, drama queens, the shy ones, and even some of the “party-ers.” Back then, I was popular, and I had the ability to make friends with anyone. I did not judge much, and I was happy. As I created page after page and section after section of my scrapbook, I realized that I was a diverse person, and that is how I functioned best and happiest. I relished in the memories of my cross-country and track teams and all the races we participated in. I remembered the times I would run to drill team practice right after cross country practice hoping the dance leader would not notice that I was forty-five minutes late! I remembered the Science and French clubs and the trip to Europe I was fortunate enough to experience during my junior year. I discovered that I had a poetic side, a scientific side, was very athletic and competitive, was romantic, spirited and adventurous. I was more than I had imagined, and I felt alive back then. Most importantly, through this creative process, I discovered what kind of life made me happiest, and I realized that I was far from living that fulfilling life now. Putting together and completing the scrapbook and thus remembering all that I experienced in the past, touched a part of me deeply and lifted my depression enough to the point where I could now handle all my other ailments and not live in denial anymore. Discovering this creative endeavor was the catalyst that began my process of authentic emotional, mental, and physical healing and restored my life to a life of joy. I began to make the changes necessary to bring myself to a peaceful and healthy existence. The changes would eventually lead me to new experiences and discoveries about myself. Holistic health did not happen overnight, and it is always a continuous process, but I am forever thankful to a friend who, until now, had no idea how much of an impact she had on my life just by speaking up about her creative bliss. I often ponder what would have happened to me if I had not inconspicuously stumbled upon scrapbooking. Humbling thought. Today, I continue to scrapbook because I love the process of putting together albums of my experiences (the joyful times and even the challenging, difficult times) to understand and interpret my life. Scrapbooking helps me to appreciate life, to celebrate it and learn from it. It is also a lot of fun! Most importantly, scrapbooking helps me to know who I am and what I can become. Has your spirit died? Have you forgotten what makes you smile? Embark upon a creative activity; it will bring you joy and fulfillment, rest for your soul, and help you remember what is most important in life: living with peace and sharing your passion and creativity. Categories: Creativity, Inspiration, Scrapbooking | Tags: Creative Memories, Creative Wellness, creativity, Hobbies, Inspiration, Scrapbooking | Permalink. In the last decade, the Tiny House Movement has grown tremendously. More and more people are downsizing and embracing the simple yet rich life of minimalist living. Building their very own tiny house on their own land or in tiny house communities, people of all ages are finding unexpected gifts and freedom from living in these very small spaces. According to psychologists, the motivation behind the tiny house movement is the result of the ideals of environmental consciousness, self-sufficiency, and the desire for an adventurous life (all of which I can relate to). Dee Williams, author of The Big Tiny: A Build-it-Myself Memoir, is one of the pioneers of this movement. “I found a certain bigness in my small house-a sense of largeness, freedom and happiness that comes from when you realize there is no place else you’d rather be,” writes Williams. In The Big Tiny: A Build-it-Myself Memoir, Williams details how she went from living in a three-bedroom bungalow with a detached garage, a fireplace, and gas heat to making the decision to build, sustain and live in an eight-four square foot (Yes, 84 square feet!) minuscule house! This experience and the results of her endeavor are nothing less than exhilarating, frightening, completely jaw-dropping and inspiring. Dee details her plans, explains her frustrations and fears, and takes the reader on her courageous journey in her memoir. I enjoyed her poignant, honest, and hilarious prose; furthermore, an environmentalist myself, I was encouraged to look at my own carbon footprint and consider tiny house living myself. Having recently visited the Tiny House Jamboree in Colorado Springs, a three-day exhibition of tiny houses and information with the mission of motivating the public to live their passions through simplifying their lives and discovering what truly matters, I was amazed and inspired by the various types of tiny houses available for purchase at any level of the building process. Below is a picture of a “bigger” tiny house that I discovered at the jamboree. Tiny houses come in all sizes, shapes, and styles to fit any taste or budget. Truly, they are very functional and beautiful! 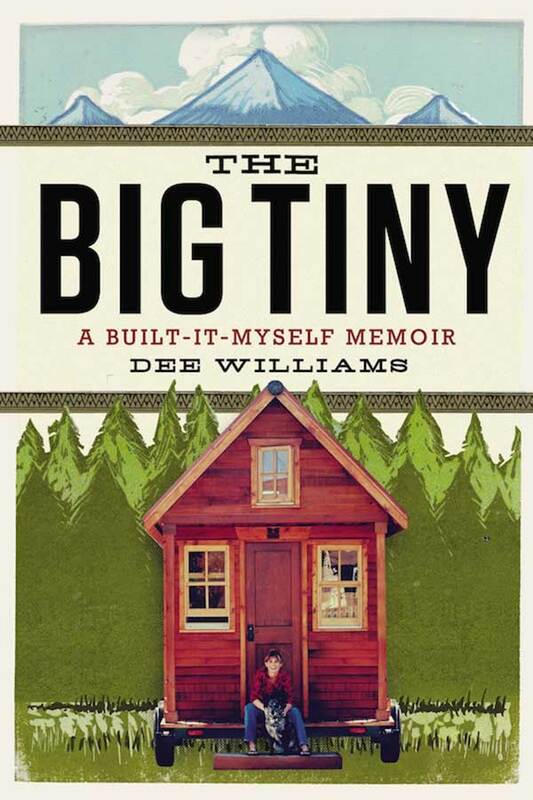 I highly recommend The Big Tiny: A Build-it-Myself Memoir by Dee Williams to anyone who even has a tiny interest or curiosity of what the Tiny House Movement is, and what it would be like to build and live in your own little house. Her story and writing is very inspirational. To learn more about Dee Williams and the Tiny House Movement, or to purchase The Big Tiny: A Build-it-Myself Memoir, visit: PADtinyhouses.com. © 2016, Vilma Reynoso, vilmareynoso.com. Categories: Abundant Living, Book Reviews, Creativity, Design your Life, Environmentalism, Green Living, Inspiration, Passion & Purpose | Tags: Dee Williams, Environmentalism, Green Living, Inspiration, Minimal Living, Minimalism, Simple Living, Tiny House Movement, Tiny Houses | Permalink. Abby Seixas in Finding the Deep River Within: A Woman’s Guide to Recovering Balance and Meaning in Everyday Life explains why it is vital to regard the things that we love to do as those which matter most. In a world that implicitly and explicitly encourages constant “doing” over “being,” hurrying and multi-tasking over living in the present moment, and as a result, propels us to experience everyday general fatigue, Seixas demonstrates how we can find joy and excitement in our lives. The “deep river within” is a metaphor for the soul-nourishing dimension in each one of us that flows beneath the business of daily life. With guidance, we can attain that which we all crave: balance and meaning. I have to admit that I have recently been living an unbalanced and very stressful life. I have allowed myself to stop doing the things that bring me joy in the midst of what seems like never-ending responsibility and commitments. Finding this book was a god-send! As a result of reading about my “river” within in this book, I have decided to re-evaluate my busy lifestyle and commit to creating a life that will nourish my spirit and not take from it. I am committed to learning to slow down and truly live in the present moment. I am committed to doing that which I love again (blogging being one love!). After describing the disease of the twenty-first century – the disease of “to do lists” and “a thousand things to do,” the author then thoroughly reveals the six practices that we must do to tap into our “river” in order to live joyful and meaningful lives: taking time alone, making and practicing boundaries, befriending feelings, taming self-expectations, practicing living in the present and doing things we love. I highly recommend this book to any woman who is struggling with finding time for herself in a very demanding world or any woman who is constantly exhausted, over-burdened or feels like she is going to lose her mind. Yes, it is worth your time to read Finding the Deep River Within: A Woman’s Guide to Recovering Balance and Meaning in Everyday Life by Abby Seixas. You will be glad you found the time to read it! 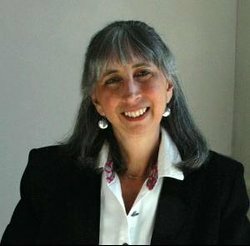 Abby Seixas has been a psychotherapist in private practice for over twenty-five years and has worked as a consultant and clinical psychotherapy supervisor at training centers in the United States and abroad, including England, Russia and the Netherlands. 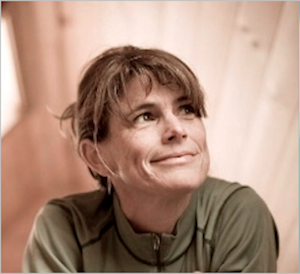 Her work focuses on helping women learn and practice the art of slowing down via her workshops, public talks, retreats, coaching, and her popular Touching the Deep River groups. Abby has appeared on The Today Show, and has been featured in O, The Oprah Magazine, Self, Fitness, Body + Soul, and Woman’s Day. She is the mother of two grown children and lives with her husband near Boston, Massachusetts. 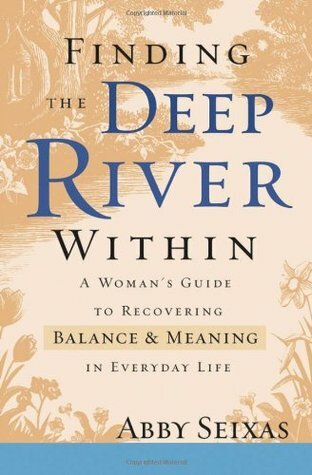 To learn more about Abby Seixas or to purchase Finding the Deep River Within: A Woman’s Guide to Recovering Balance and Meaning in Everyday Life, visit: deepriverwithin.com. Categories: Abundant Living, Book Reviews, Creativity, Design your Life, Inspiration, Intuition, Passion & Purpose, Psychology | Tags: balance and meaning, deep river, life balance, psychology, slowing down, soul searching | Permalink. Creativity. We all have it, and we all want to relish in it. But how? Mihaly Csikszentmihalyi’s groundbreaking book, Creativity: Flow and The Psychology of Discovery and Invention, is considered an exemplary work (and I agree) in the study of creative expression. Csikszentmihalyi interviewed almost a hundred creative people in every field and synthesized his findings in this book. He also brings thirty years of research on the subject of creativity. Professor Csikszentmihalyi explains the creative process, the creative personality, and what it means to work creatively in the first part of his book. He then summarizes his findings from his interviews of very successful creative people, followed by a thorough explanation of what he renders the domains of creativity: the word, life, future and culture and how to enhance your own personal creative energy. Although it has been almost twenty years since the publishing of this writing, this masterpiece stands alone as the bedrock of how people experience creativity and live in what the author calls, “flow”- the experience of spending hours or days where you lose track of time, forgetting to eat or sleep, feeling like there is no other place you would rather be, being “in the zone,” feeling completely immersed in your creative endeavor, experiencing creative bliss and feeling an instinctive calling to keep working on your project. Flow and The Psychology of Discovery and Invention by Mihaly Csikszentmihalyi presents the author’s nine, necessary component states of achieving flow. He also explains that in order to achieve a state of optimal flow, a balance must be struck between the challenge of the task and the skill of the creator. For a long time, I believed I did not possess creativity. However, I thankfully discovered that I, as well as all of us, have an abundance of it! We are all creators to one extent or another. You might be a person who thinks you are not creative, but you truly are. Every day, you make decisions that require the use of your given and inerrant, abundantly supplied creativity. Deciding to shower a certain way as opposed to another is being creative; decorating your bedroom is using your creative mind; designing a spreadsheet, delivering a speech, sewing a dress, knitting a scarf, building a skyscraper, re-arranging your pantry, cooking, using a programming language, making jewelry, writing music, designing the underground structure of an emerging neighborhood, organizing the applications on your cell phone, and blogging is being creative. And, the list goes on. Every time you imagine and then take action, you are creating. Having had to read this book in college years ago, I was pleasantly surprised to discover that I possessed some of the characteristics of highly creative and successful people that are described in this book, and you do too! Mihaly Csikszentmihalyi will show you what creative people are like, how the creative process works, and what conditions encourage or discourage the generation of original ideas. I recommend this book to those interested in the study of creative expression or those who want to understand or nourish their own creative lives. Mihaly Csikszentmihalyi is the Distinguished Professor of Psychology and Management at Claremont Graduate University. He is the former head of the department of psychology at the University of Chicago and of the department of sociology and anthropology at Lake Forest College. Dr. Csikszentmihalyi has written several other books or publications in addition to Flow and The Psychology of Discovery and Invention. His most recent work centers around the study of intrinsic motivation and how it contributes to overall success of the individual. Born in Hungary in 1934, he was affected by the Second World War in ways that deeply influenced his life and later work. During his childhood, he was put in an Italian prison. Experiencing the horrible loss of family and friends due to the war and subsequently becoming “lost in flow” playing chess when he could were the catalysts that inspired his future work in the area of individual flow and optimal human experience. To purchase Flow and The Psychology of Discovery and Invention by Mihaly Csikszentmihalyi, visit: Goodreads. To learn more about the author, visit: The Pursuit of Happiness. 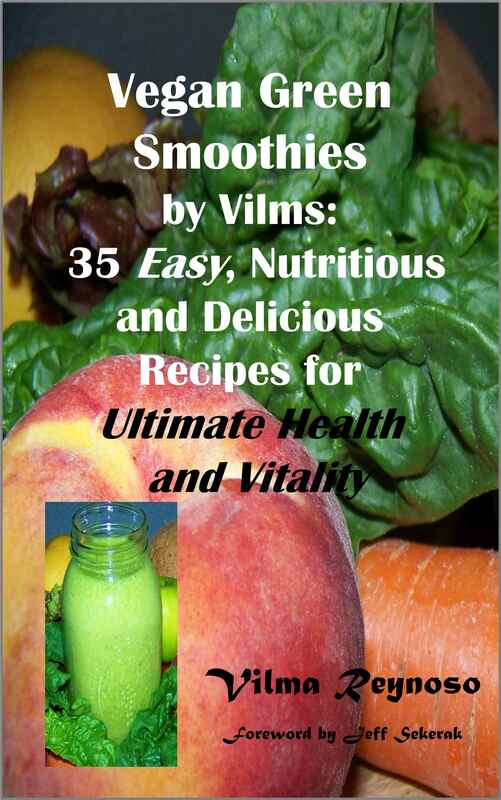 Visit my blog about creativity: DesignsbyVilms.com. Categories: Book Reviews, Creativity, Design your Life, Inspiration, Literature & Writing, Passion & Purpose, Psychology | Tags: Abundance, Being in Flow, Bliss, Creating in Flow, Creative Expression, creativity, Discovery, Flow, Happiness, In the Zone, Intrinsic Motivation, Invention, Living in Flow, Mihaly Csikszentmihalyi, Motivation, psychology, Psychology of Creative Expression, Theory of Flow | Permalink.